Another arc closes this month, without the satisfaction I was looking for. 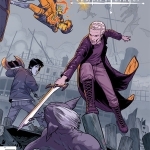 Perhaps, with this new chapter opening in Spike’s life, we’ll get more interaction with the other comic storylines. One can only hope. It can’t just be Spike and his bugs forever, right? When last we left him, Spike was watching Morgan descend onto Easter Island and get ready to open a Hellmouth there. Not one to let a good mission pass him by, Spike jumps out of the ship after her. It’s a miracle he didn’t break something on the way down, but thankfully he’s in one piece and ready to go find Morgan while his bug minions try to land the ship properly. You have to wonder if they don’t sometimes think, in the back of their minds, why are we following such a crazy man? But they don’t question much, just follow Spike’s lead, and remain in contact whenever their fearless leader needs rescuing. Morgan’s off trying to control the Easter Island statues, and doing a pretty good job of it when she begins. They appear to be under her control and are willing to squish Spike at her request. But control is a hard thing to maintain and soon the statues turn on both Spike and Morgan, whose constant bickering reminds me of a married couple at times. And with the way their relationship ends in this issue, it makes me question Spike’s willingness to quickly forgive her. Here’s a woman who tried to open a Hellmouth, who has no concern for Spike’s welfare, yet he just lets her go. I’m still not quite sure why that is. Morgan’s actions garner no repercussions on herself, so it’s not like there’s a guarantee that she won’t try again. I’m wondering if that will be the case. 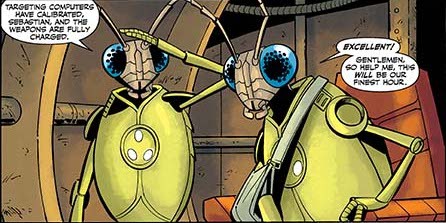 The bug minions are the real stand-out characters of the issue for me. 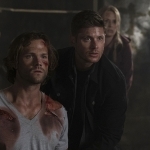 They are once again there to rescue Spike and this time there’s notable casualties to go along with their mission. Dear, sweet Sebastian takes it upon himself to sacrifice his own life for the good of others. When the ship gets damaged, he sends everyone off into rescue vessels and stays behind to make sure they remain safe. His death will always be remembered. Frisky takes over as the new leader, deciding to stay on Easter Island with the remaining survivors to rebuild their ship. Alone now, Spike has new possibilities available to him. Knowing that the memory of Buffy will never leave him, he must go confront her at some point, but he won’t be immediately be rushing to San Francisco. Instead, he will see where the road takes him, and perhaps it will allow him to join up with some of the other storylines. He’s been in isolation for too long. It’s time Spike got in on some action. I’m looking forward to seeing what he might get up to! 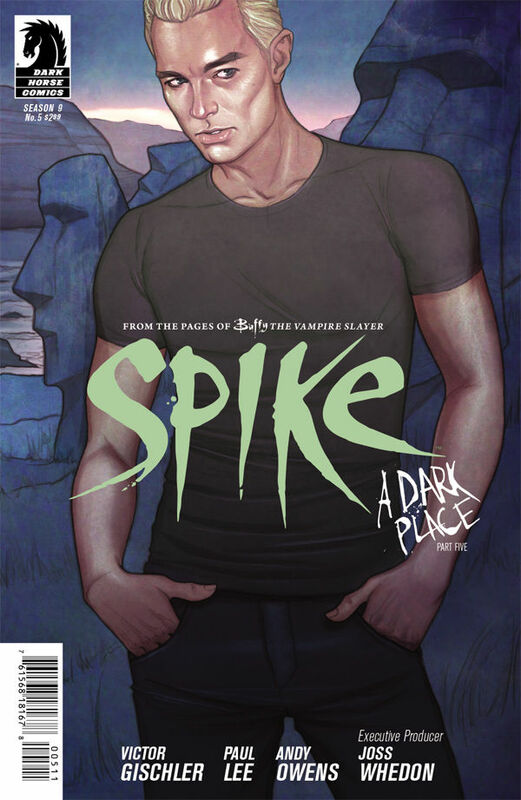 My recap of Spike #5 is on @Fandomania http://t.co/Wf6u7MW0 The bugs are my favorite part, as always ;) Hope Spike has good storylines soon.